Voice your choice of three from the 8 nominees chosen from among over 40 names that were submitted! http://www.crochet.org/halloffame.html (note if this link doesn't show as live, copy and paste it into your browser window). Now on the member section of the website is the listing of all 40 names with links to where you can find information about them: designers, authors, artists, promoters, educators and more. The Hall of Fame committee members wanted to create this permanent database of inspiration for all members to use as reference for their work. Lyn Robinson, who has done a fabulous job reviewing books for CGOA over the past few years, has let us know that she must resign her position. We greatly appreciate the insightful reviews Lyn has provided for us during her tenure as book reviewer. With Lyn's resignation, we are in need of a new person to review books for the Chain Link newsletter. When CGOA receives a book from a publisher to be reviewed, the book is sent to our book reviewer. After the review has been written, the reviewer sends the book on to the Linda Sauter library. 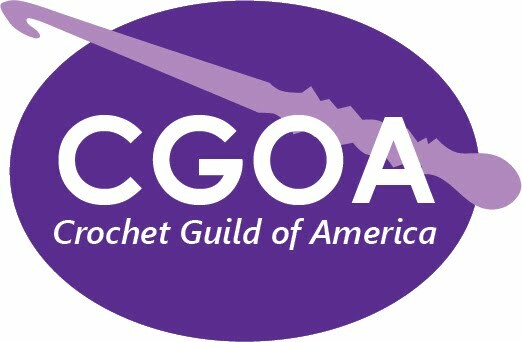 If you are interested in the book reviewer position, please write a review of any crochet book of your choice, and submit it via email to amyshelton AT crochetville DOT org. We will review all submissions and select a new book reviewer as quickly as possible. Introducing New Board Members and Officers for 2011! We are pleased to welcome Jack Blumenthal (Senior Vice President at Lion Brand Yarns), and Mary Colucci (Executive Director, Craft Yarn Council and Warm Up America Foundation). We are sure Jack and Mary will be wonderful additions to the board of directors. We are sad to say good-bye to Marty Miller, past President of CGOA, and Carol Alexander, past Vice President of CGOA, as they complete their second terms on the board. We appreciate their service and hard work over the past four years, and we know they will both continue to be very involved in CGOA. We are looking forward to an exciting 2011! Your new board of directors is already hard at work continuing plans for our two fabulous Chain Link conferences this year.